Any successful spoofing attack relies on trickery to lure unsuspecting users into giving their personal data, or click on malicious links. The level of damage caused by spoofing has always grown over the years. While simple spoofs like a fake company logo still work, attackers are going an extra mile to implement more dangerous scams. 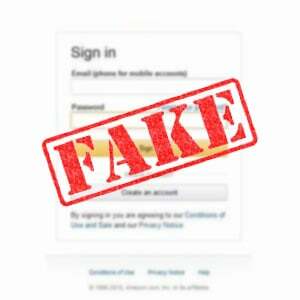 The most recent type of phishing scam is the URL spoof – an illegal URL lookalike displaying as a real one. But the question remains, how does a scammer manage to create a URL that is the same? Moreover, how can you avoid falling victim? We’ve covered that. Ideally, a spoofed URL is a fraudulent link masked to appear as a legitimate source address, just to steal your data. Occasionally, clicking on a spoofed URL once can cause malware damage to your device. Some scammers even go miles to make a site look identical to the actual version. This trick gives the spoofed site the false legitimacy that will prompt them to provide their personal data – that would otherwise be used against you. Spoofed URL websites entirely rely on traffic generated by phishing attacks. The URL of the spoofed site is disguised as an attachment, text or advert, then distributed to multiple users. Scammers use enticing click-baits to get to your data – all it takes is a single click. Masking links behind texts, button and adverts have been the most preferred techniques for scammers. And while it may seem easy to spot, some hackers still use this common trick to send spoofed URLs – and it works most of the time. However, if you suspect a phishing attack, easily spot spoofed URL by placing your cursor over the hyperlink to check the URL for legitimacy. Scammers use unpredicted tricks like sending you a seemingly legitimate email from your favorite show, requesting you to make monthly payments. Once you click on the pay button, it’ll redirect you to a malicious website, or a Trojan virus will install immediately. Hackers and phishers also like sending emails containing links, and they will make the email appear to originate from a trusted source. They use tricks like changing a single character of a known domain. For instance, we’ve seen several headlines about Netflix email spoofs, and several other users complaining of being tricked into revealing their personal data. URL shorteners like bit.ly is another most-preferred method of spoofing URLs. And while shortened links are a great solution – especially for social media posting, e.g. on Twitter – it’s also an easy way for scammers to mask malicious links. Shortened URLs are impossible to tell which is one of them is legitimate, and which one is spoofed. With the emergence of new scripts, scammers are now able to get to breach your data easily. They can now use non-Latin characters to design homographic URLs. Implying that scammers can now use letters with glyphs, diacritics, and accents to spoof URLs. Even worse, some letters will take the actual form of their Latin counterparts, regardless of their Alphabetic position. This type of spoofed URLs is difficult to detect because the internet allows scammers to register different characters. Before you click any suspicious links, place your cursor over them to check the validity of its URL. Always check for spelling mistakes, accents, glyphs, and diacritics. Always take preventive measures such as updating your browser, antivirus, and other apps that connect to the internet. New updates tend to come with improved cybersecurity features. 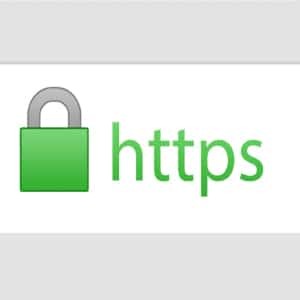 Always check the URL certificate – should have an HTTPS certificate. If you are doubtful of a link, then there’s a good chance it’s a spoofed URL, therefore, avoid opening it at all costs. Staying alert of the latest phishing attacks will give you an insight into the trending spoofed URL techniques. Always use IPBurger VPN when accessing the internet. We guarantee ultimate security and privacy via strong encryptions, and also we make you private by hiding your real IP address.